ART is a patented state of the art soft tissue system/movement based massage technique that treats problems with muscles, tendons, ligaments, fascia, and nerves. Headaches, back pain, carpal tunnel syndrome, shin splints, shoulder pain/frozen shoulder, sciatica, plantar fasciitis, knee problems, and both tennis and golfer's elbow are just a few of the many conditions that can be resolved quickly and permanently with ART.These conditions have one important thing in common: they are often the result of overused muscles. ART is currently being used by over 80% of professional sports teams. Each of these factors can cause your body to produce tough, dense scar tissue in the affected area. This scar tissue binds up and ties down tissues that need to move freely. The body has no mechanism to reduce scar tissue naturally. It requires treatment. As scar tissue builds up, muscles become shorter and weaker, tension on tendons can cause tendonitis, and nerves can become entrapped. This can cause reduced range of motion, loss of strength, and pain. If a nerve is entrapped you may also feel tingling, numbness, and weakness. Every ART session is actually a combination of examination and treatment. The ART provider uses his or her hands to evaluate the texture, tightness and movement of muscles, fascia, tendons, ligaments, and nerves. Combining precisely directed tension withspecific patient movements to treat abnormal tissues. These treatment protocols-over 500 specific moves- are unique to ART. They allow providers to identify and correct the specific problems that are affecting each individual client. ART is not a cookie-cutter approach. ART has been developed, refined, and patented by P. Michael Leahy, DC, CCSP. Dr Leahy noticed that his patients’ symptoms seemed to be related to changes in their soft tissue that could be felt by hand. By observing how muscles, fascia, tendons, ligaments, and nerves responded to different types of work, Dr Leahy was able to consistently resolve over 90% of his patients problems. He now teaches and certifies health care professionals all over the world to use ART. ART is utilized for both Injury Care and ongoing Performance Care. ART Injury Care is used to treat and resolve a broad range of soft tissue injuries, and return these tissues to full function. ART Injury Care resolves soft tissue injuries by removing the adhesions and restrictive tissues that are laid down when the tissue suffers repeated trauma. ART Injury Care removes the cause of the dysfunction, and restores full function, movement, and translation to the affected tissue. ART Injury Care provides the methodology and tools required to return a client to their chosen occupation or sport, pain free and fully functional again. Once clients have received ART treatments to resolve obvious soft tissue injuries, they often eager to return to activities and sports that were denied to them by their injury. Evaluation of gate, motion, and posture. Identify the biomechanical dysfunctions that are restricting the client's performance. Find the soft tissue structures that are the primary cause of the biomechanical dysfunction as well as affected structures along the kinetic chain. Treat the soft tissue dysfunctions with ART to restore full function to the affected structures. ART Performance Care concentrates upon removing those restrictions that inhibit full range of motion, and in restoring full function and performance to those soft-tissues. This process can result in significant increases in sports performance power, strength, and flexibility. The Functional Movement Screen, (FMS), and The Selective Functional Movement Assessment, (SFMA), are the two systematic full body movement tests used to identify movement asymmetries or major limitations in movement patterns. The SFMA is the movement based diagnostic system, designed to clinically assess seven fundamental movement patterns in those with known musculoskeletal pain. This assessment provides an efficient method to systematically find the cause of symptoms, not just the source, by logically breaking down dysfunctional patterns and diagnosing their root cause as either a mobility problem or a stability/motor control problem. This allows the clinician, by focusing on both mobility and stability components, to develop a truly comprehensive course of treatment. Neurokinetic Therapy, (NKT), is a sophisticated bodywork modality that can be used as both an assessment and rehabilitative technique. The Neuronkinetic Therapy corrective movement system protocol employs a system of precise muscle tests. Through the information gleaned from these tests the therapist can change the programing of the Motor Control Center, (MCC), in the cerebellum. The MCC coordinates all movement patterns in the body and it learns through failure. A good example is a baby learning how to stand. Through many attempts and failures the baby finally achieves success. The MCC chooses the most successful attempts until standing happens without “thinking” about it. Conversly, after an injury, the MCC adapts to a muscular compensation pattern and holds that in it’s memory unless it’s convinced to change. A good example is a whiplash accident in which the posterior neck muscles brace for the anterior neck muscles. This pattern can go on indefinitely unless there is some intervention. When a NKT practitioner tests the weak anterior neck muscles they fail thus opening the MCC to new learning, or relearning in this case. After the balance is restored, the MCC is “reprogrammed” and recognizes the anterior neck muscles. To complete the reprograming, specific rehab exercises are assigned to “burn in” the new functional pattern. Neurokinetic Therapy works by communicating with the MCC. Musculoskeletal pain can be caused by imbalances of neurological origins wherein some muscles are overactive and some are inhibited. Using precise muscle tests, the patterns governing these movements are accessed in the brain’s MCC and can be “reprogrammed” for greater efficiency. By this process NKT can achieve faster and more long lasting results and provide successful outcomes for conditions that have not responded well to other modalities. Rocktape is a patented brand of kinesiology tape that when applied on the skin can interfere with painful signals, which are directed to the brain. When the signals to the brain are altered, it does not produce the sensation of pain. When Rocktape is properly applied, it helps to change how the body interprets pain, turning down the pain “volume” the body hears. Rocktape does so by affecting the nerve endings and different types of receptors in the skin of the injured area. It does so by allowing the congested or compressed blood vessels, (capillaries, lymph vessels, arteries, veins) to flow more freely. It also creates more room in between layers of fascia, muscle, fat, skin, and other structures. The Active Isolated Stretching, (AIS), method of muscle lengthening and fascial release is a modality that provides effective, dynamic, and facilitated stretching for the major muscle groups. More importantly, AIS provides functional and physiological restoration of superficial and deep fascial planes. AIS technique is an effective treatment for deep and superficial fascial release, restoring proper fascial planes for optimal physiological function. AIS utilizes a series of therapist assisted isolated stretches of short duration allowing the targeted muscles to optimally lengthen without triggering the protective stretch reflex. These stretches provide maximum benefit and can be accomplished without opposing tension and trauma. Without activating muscle group contraction, restoration of full range of motion and flexibility can be successfully achieved. Although AIS can be administered as a stand-alone treatment session it is usually combined with other modalities as part of an overall corrective manual therapy treatment session. 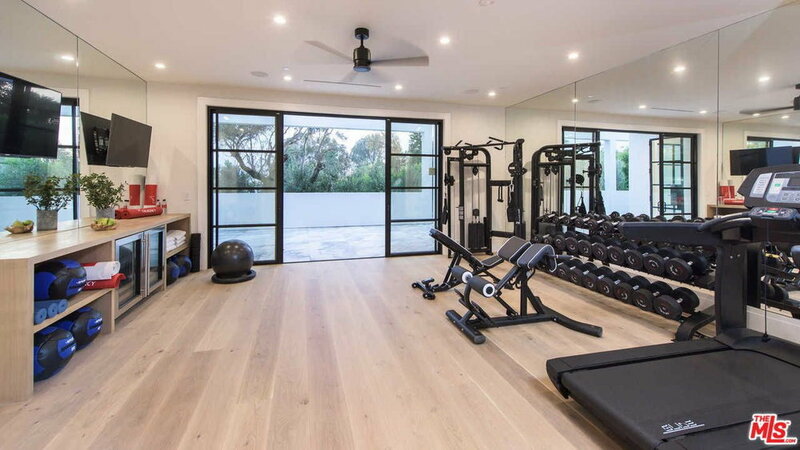 Home gyms customized to your space and budget and paired with a personalized workout plan.